The greatest of all soul duos, Sam (Moore) and Dave (Prater) brought the sound of the black church to pop music with their string of call-and-response hits for Stax Records from 1965 to 1968. The pair usually worked with the songwriting and production team of Isaac Hayes and David Porter, using Booker T. and the M.G.’s as backing musicians. From these collaborations came such soulful, fevered exchanges as “You Don’t Know Like I Know,” “Hold On, I’m Comin’,” “You Got Me Hummin’,” “Soul Man” and “I Thank You.” Sam and Dave also gained renown as an electrifying live act in the Stax revues of the mid-Sixties, where they’d compete for applause with such labelmates as Otis Redding. Dave Prater was born on May 9, 1937, in Ocilla, Georgia, and Sam Moore was born on October 12, 1935, in Miami, Florida. The duo met in the latter’s hometown in 1961. Moore, a church-reared singer who sang with such gospel quartets as the Gales and the Mellionaires, once turned down an offer to replace the departing Sam Cooke in the Soul Stirrers. Prater had himself moved to Miami to sing in his brother’s gospel group, the Sensational Hummingbirds. But it was R&B that brought the two singers together onstage at Miami’s King of Hearts nightclub one fateful amateur night. 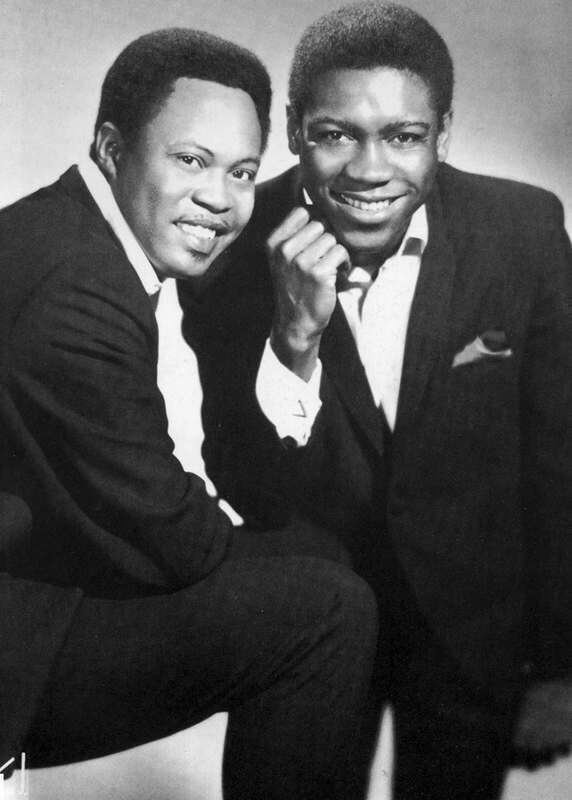 Sam and Dave recorded for the Alston and Roulette labels, releasing seven singles, before being discovered by Atlantic Records’ Jerry Wexler, who caught their act at the King of Hearts in 1964. Wexler then sent the duo to Memphis-based Stax to record the next year. In the spring of 1966, Sam and Dave scored their first major hit, “Hold On, I’m Comin’,” which reached Number One on the R&B chart and Number 21 on the pop chart. Theirs was the perfect balance of pop melody and church feeling; moreover, the duo intuitively played off each other to great effect. Their live shows were among the most exciting of the soul era, with dancers, duel drummers and horns. Despite that, the duo rarely spoke to each other, and in June 1970, Sam and Dave split up. They reunited and parted ways several more times over the years, with the Blues Brothers’ revival of “Soul Man” in 1979 instigating one of their more successful reunions. Never as close offstage as they were in performance, Sam and Dave finally called it quits after a performance in San Francisco on New Year’s Eve, 1981. Dave Prater was killed in an auto accident on April 9, 1988. Sam Moore has continued to perform as a solo artist. He has also made several appearances in movies, including The Blues Brothers 2000 and Only the Strong Survive. He released his first solo album in 2006, and in October 2009 he appeared at the Rock and Roll Hall of Fame’s 25th anniversary concert in New York City, singing “Soul Man” and “Hold On, I’m Comin’” with Bruce Springsteen and the E Street Band.